Do LED outdoor lighting systems use less energy than halogen systems? Yes, a halogen system uses more energy than a LED system. In fact, LED uses a fraction (15-20%) of the energy. If you are looking for a lighting design that has energy conservation in mind, a LED system may be for you! If I already have a McKay Lighting system and want LED, do I need an entire new system? No, we can work with your current system to convert it to LED with relatively little redesign. It often depends on the age and type of fixtures. To make it easy, we offer free conversion assessments. During an assessment one of our designers will visit your property to assess your fixtures and system. Then, they work with you to develop a plan for converting it to LED. It can be done all at once or in phases. Are LED systems more expensive than halogen lighting systems? Yes, the initial investment of LED is often higher than a traditional halogen system. However, over time, it will save you money in bulbs and energy. LED bulbs have a longer lifespan (up to 50,000 hours or 5-year warranty) and use less energy then halogen or incandescent bulbs. Halogen bulbs have up to 5,000 hours and usually start to burnout after a year. Are LED fixtures different than halogen fixtures? Yes. But, it depends on the type of fixture as some can be retrofitted to hold a LED bulb. During an assessment our designers will determine which ones can be retrofitted or need to be replaced. If you need new fixtures, they will help you choose from our entire selection of fixtures that provide tremendous aesthetic appeal. LED lighting is now the preferred choice among professionals and homeowners for its energy savings among other benefits. If you have a halogen system, you’ll want to learn more about this government regulation being implemented by 2020. 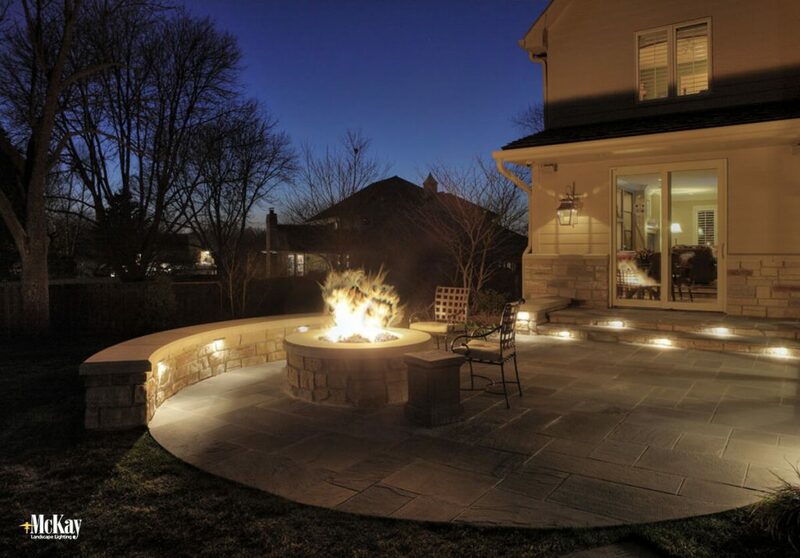 If you have any questions about LED landscape lighting or would like to discuss it more, please feel free to contact us or schedule a free LED assessment online.